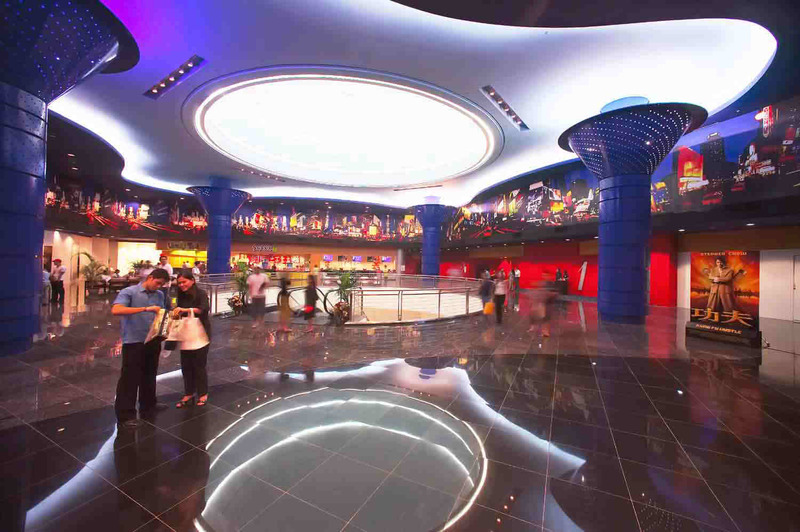 New City Mall, Nanjing, the location of Shanghai United Circuit's and Warner Bros. International Cinemas' joint venture cinema. 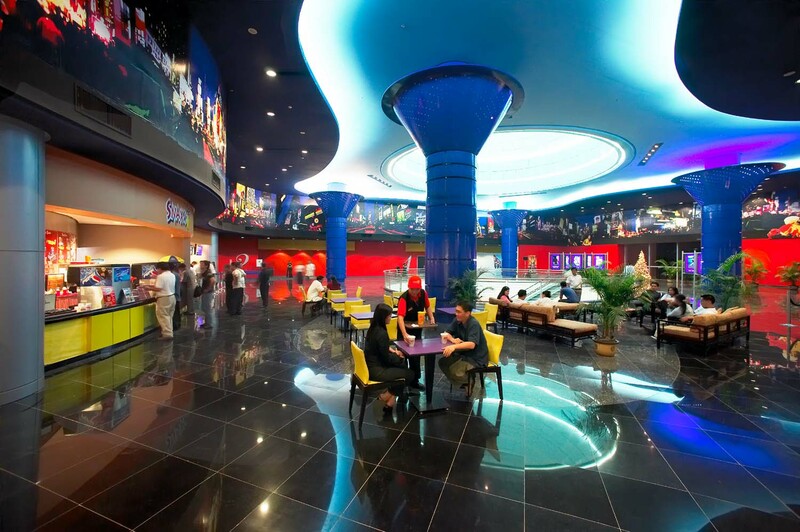 The lease deal, layout and construction of this 8 screen complex were originated by CinemaWorks as part of its year-long relationship with the Jiangsu Shengshi Asia Film Company. 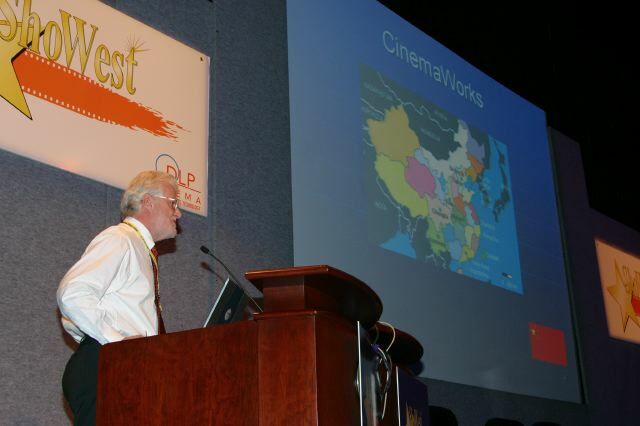 Ian Riches speaks about China at ShoWest, Las Vegas - the motion picture industry's largest convention with delegates from over 50 countries. 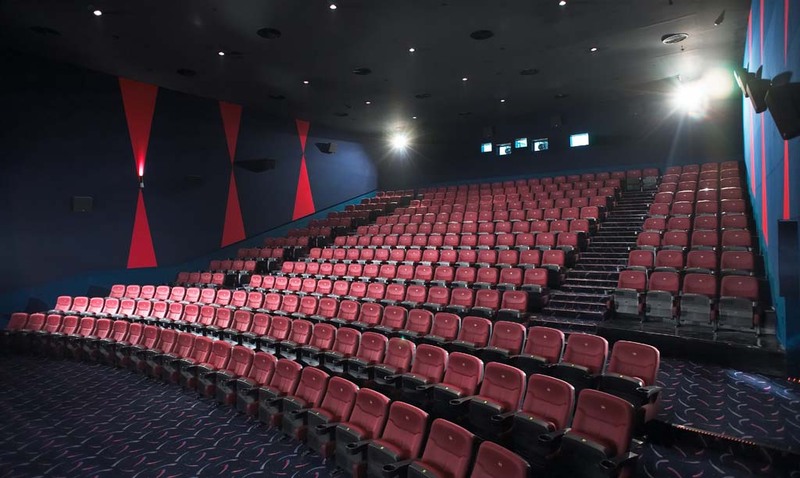 The stunning 530 seat auditorium at Gateway Cineplex, Quezon City, Metro Manila. 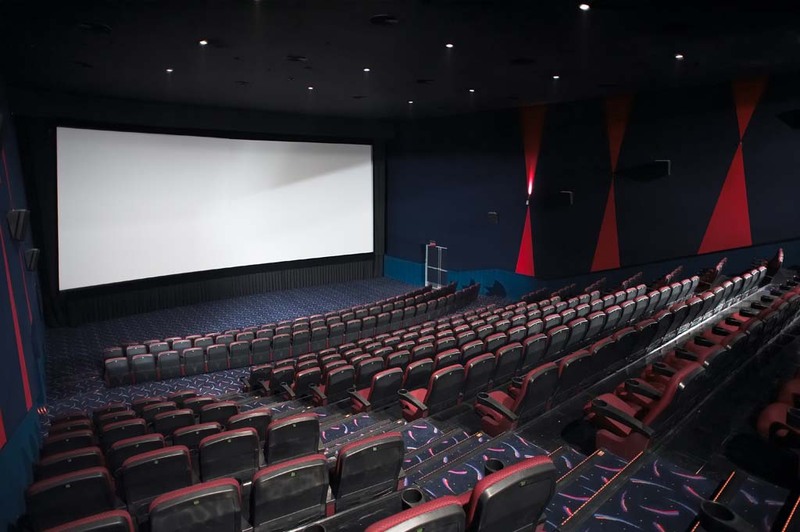 This 10 screen complex was designed by CinemaWorks' associate architects and is situated on the 4th floor of the exciting Gateway Mall. The largest 35mm. screen in the Philippines at Gateway Cineplex. The lobby at Gateway Cineplex. Another view of the lobby, showing the Snaxx concession counter and seating area.